Rio suffers from the image of being at times a violent and crime-ridden city. That is the image that sells newspapers, and not the reality of the situation. What most newspapers and TV reports fail to mention is that the crime and violence they are reporting, is happening in parts of the city that are unlikely to or should not attract foreign visitors. As with any major city that is visited by tourists, Rio does suffer from a number of crimes that to work play on the gullibility of the person involved. The crime aimed at tourists in Rio is robbery as it would seem that there are a number of people in the city who would prefer that the tourists leave their excess baggage in Rio, and that includes their money and more attractive belongings. The key to most petty pilfering in Rio de Janeiro is your bag. The reasons are numerous, but basically a bag is easier than anything else for the thief to get hold of. There is also the added factor that you are probably not used to carrying a bag as back home you don’t carry around a guide book, sun hat, newspaper, towel, etc. Not being used to carrying a bag you will be amazed at the places you leave it unattended. But before you do, just ask yourself one question: “Am I being sensible?” If you put a bag down the chances are that somebody else will try to pick it up, so keep your hand on it and don’t leave it unattended. The simple solution is that you can’t get robbed if you’ve got nothing with you to be stolen. Think about this simple remedy before you leave your hotel room. Think exactly what you will want to take with you and why. You certainly don’t need all your cash and every credit cards, or your passport or air ticket on the beach. Items like these should be placed in your hotel safe deposit box where you won’t have to worry about them until you need them. For identification, ask the hotel to photocopy the key pages from your passport. If somebody can’t get hold of your bag they are going to have to pickpocket you and Brazil is no different from anywhere else in that to do so the thief has to make bodily contact. 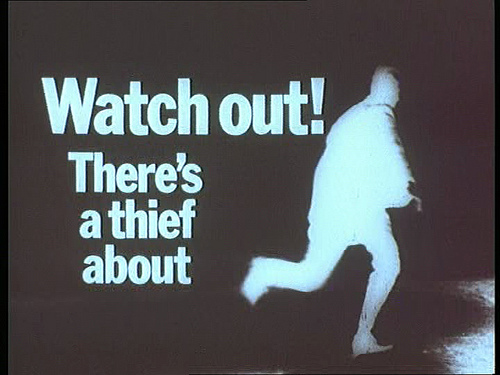 Here Rio’s tropical weather works in your favour and against the thief. Because it is hot, people don’t group together but tend to walk spaced out. It is rare that you are ever in a bodily crush so take it as a warning if you are being closed in on. Classic locations for pickpockets are the bus, going through doors, in markets, and this is true of Sunday’s Hippie Fair, and in stores. 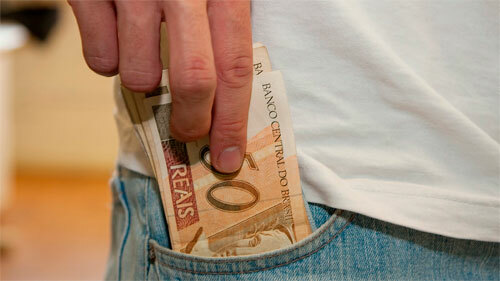 Keep your wits about you and your wallet where you can feel it and don’t have it sticking out from your back pocket. Jewelry is another item to be warned about. Don’t wear it in Rio and you won’t lose it. Despite all the jewelry sold in Brazil, the women of Rio are not over dressy with their gems during the day as it is all too easy for somebody to grab a chain and run. In the evening, Brazilians will dress up but only if they know they are going by car or cab. Don’t, for example, go strolling along the oceanfront of Copacabana laden down with your new jewelry. It would not be sensible would it? And the oceanfront, down by the sea, is one of the most dangerous places to go at night. Criminals in Rio, like their counterparts anywhere, don’t want to be caught. There are many easy pickings in a city of Rio’s size, it is sad to say, and you should not try to add yourself to the statistics. Behave as you would in any big city and you will not come to any harm. You can avoid trouble in Rio if you want to. It is also advisable to let the police deal with criminals in their own way. Don’t get involved in the heroics of trying a citizen’s arrest, or the like, as you could end up getting hurt. Don’t go chasing people up alleyways; they may have friends waiting and they may have a knife or gun! Finally, a warning for the gentlemen: when you go for a night-time stroll along the front in Copacabana, which is quite normal, be careful with the excessively friendly girls late at night. You may think it’s your birthday as she purrs in your ear about how she wants you, but in reality she is just getting in a little bodily contact so that she can remove your wallet while you are worrying about what the “lady” is doing with her other hand. The smile on your face won’t last long when you realize that you have been taken for a sucker. The same warning applies if you are going around Rio’s raunchier bars. Welcome to Rio. Now enjoy it by being sensible. put your wallet in your back pocket or the outside pocket of a bag. walk alone on the beach near the water at dusk or at night. wear jewelry in the street. take drugs or get involved with them in Rio. think that you are a better swimmer than the Cariocas. think it can’t happen to you. put your money, credit cards, passport and ticket in the safe deposit box of your hotel. wind up the windows of the car if you are stuck in a traffic jam. ask your hotel for information. They have the answers. call on your Consulate for help if you have any problems.